A legislative amendment abolishing the registration fee for vessels in the Danish Registers of Shipping has been adopted by the Danish Parliament. ​The amendment increases the attractiveness of the Danish Flag as it now offers the same benefits as foreign Flags. With the amendment comes increased economic activity and international influence, when the Danish Flag attracts more vessels from both national as foreign shipowners. The amendment enters into force on the 1st of May 2018, but will do so with retroactive effect from the 1st of January 2018. The Danish Parliament (Folketinget) has adopted a number of new initiatives in the maritime area which will, inter alia, make it easier to keep and ensure growth in Danish maritime activities and boost the pleasure craft business. Minister for Industry, Business and Financial Affairs Brian Mikkelsen said: "These initiatives will help ensure that the Danish flag remains attractive in a globalised world. The Danish Parliament has adopted new regulations in four areas. 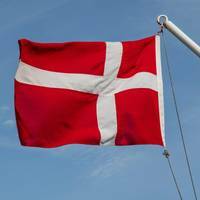 The provisions on foreign owners’ possibility of having ships registered under the Danish flag have been adjusted and clarified. The 2014 annual report of the Danish Maritime Authority has been published. A record increase in the tonnage registered in Denmark, Danish Maritime Days and the adoption of the Polar Code are some of the important results in the previous year. 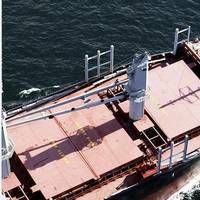 Once again, the gross tonnage registered in the Danish Registers of Shipping beat a record with a gross tonnage of 14.9 million in 2014 compared to just below 13 million in 2013. Thus, the Danish merchant fleet is larger than ever. This is evident from the annual report of the Danish Maritime Authority, which has just been published on www.dma.dk. On December 20, 2013, the Danish Maritime Authority submitted a bill to amend the Danish Pilotage Act and various other acts for consultation. The main purpose of the bill is to make it possible to perform pilotage assignments in Danish waters in a more efficient manner and thus to contribute to protecting safety of navigation and the environment. The bill is intended to create increased competition in the pilotage area and will make it easier for existing and new pilotage service providers to operate in the market. The bill is a follow-up on the Government’s publication in the field of competition policy from October 2012 entitled “Enhanced competition for the benefit of Denmark” and the subsequent analysis of the Danish pilotage market. 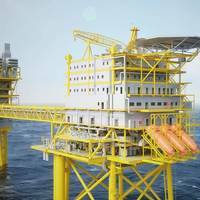 An investment agreement has been signed between ATP, Goldman Sachs funds and PFA to invest DKK 11 billion in DONG Energy A/S. The final closing of the transaction is conditional on the approval of the State Finance Committee of the Danish Parliament. Fritz Schur, Chairman of the Board of DONG Energy A/S, says: "We look forward to welcoming ATP, Goldman Sachs funds and PFA to DONG Energy's ownership group. The new equity entails that we can carry out our growth strategy, including our significant investment programme within offshore wind. " In this area, DONG Energy is today a global market leader and our ambition is to become even stronger.